“Both on and off-stage, the Sun Valley Music Festival feels like a family that comes together once a year. Alasdair Neale has delighted concertgoers as Music Director of the Sun Valley Music Festival for 25 years. His artistry, vision, and commitment to the Sun Valley community have raised the profile of what is now the largest privately funded free-admission classical music festival in America. His tenure has seen the Festival welcome celebrated artists like Emanuel Ax, Joshua Bell, Renée Fleming, Audra McDonald, Midori, Itzhak Perlman, Gil Shaham, Jean-Yves Thibaudet, Yuja Wang, and the Mormon Tabernacle Choir. Mr. Neale has also served as the Music Director of the Marin Symphony since 2001, and is the 11th Music Director of the New Haven Symphony Orchestra, beginning with the 2019-2020 season. As Music Director of the Marin Symphony, Mr. Neale has been hailed for reinvigorating the orchestra and establishing it as one of the finest in the Bay Area. Under his direction, the Marin Symphony was chosen as one of several distinguished orchestras to participate in Magnum Opus, a groundbreaking, decade-long commissioning project bringing new music to the San Francisco Bay Area and beyond. Osvaldo Golijov, Kevin Puts, Kenji Bunch, David Carlson, and Avner Dorman were among the composers represented in the project. 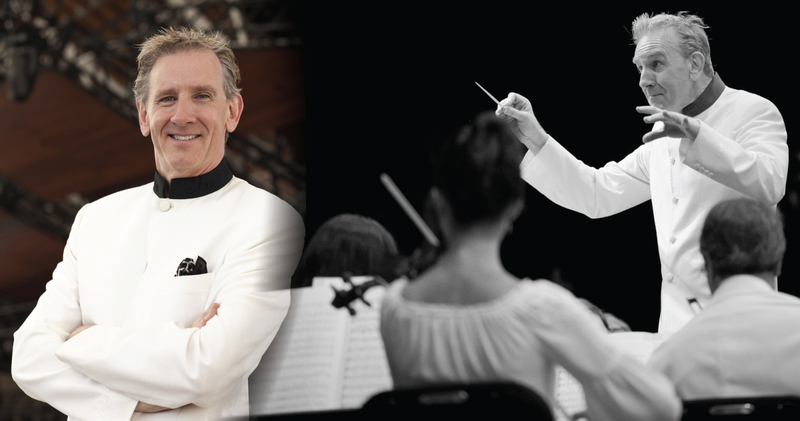 From 2001 to 2011, Mr. Neale served as Principal Guest Conductor of the New World Symphony. From 2001 to 2014, he served on the faculty of the San Francisco Conservatory of Music. He has guest-conducted numerous orchestras around the world, including the New York Philharmonic, Dallas Symphony, Saint Louis Symphony, Houston Symphony, Toronto Symphony, Seattle Symphony, St. Paul Chamber Orchestra, Honolulu Symphony, Fort Worth Symphony, Kansas City Symphony, Colorado Symphony, Nashville Symphony, San Antonio Symphony, Florida Orchestra, New Haven Symphony, Phoenix Symphony, Royal Scottish National Orchestra, Orchestre National de Lyon, Sydney Symphony, Real Filharmonia de Galicia, l’Orchestre Métropolitan du Grand-Montréal, Radio Sinfonie Orchester Stuttgart, Auckland Philharmonia, Orchestra of St. Gallen (Switzerland), MDR Leipzig, NDR Hannover, Trondheim Symphony, Orchestre du Capitole de Toulouse, Ensemble Orchestral de Paris, and at the Aspen Music Festival. In March 2002, he collaborated with director Peter Sellars and composer John Adams to open the Adelaide Festival with a production of the oratorio El Niño. Mr. Neale holds a Bachelor’s degree from Cambridge University and a Master’s from Yale University, where his principal teacher was Otto-Werner Mueller. He lives in San Francisco.